THE LAST ONES! From US$ 49.99, now US$ 25.00 ! 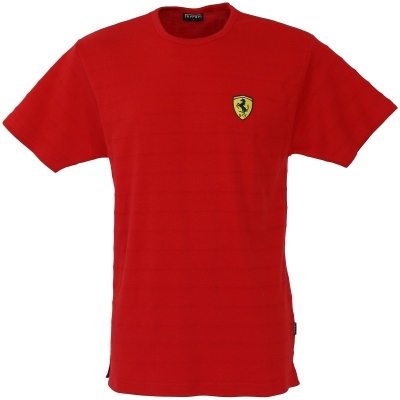 Ferrari Textured Shadow Top - Red. Bound crew-neck top in 100% cotton 230gsm raised textured stripe interlock. 2004 Black Ferrari Six Times World Champions T-Shirt - LIMITED EDITION !